Andrew Carnegie – that paragon of profit – was famously willing to provide a grant to any community that could demonstrate a need for a public library. As a consequence, petite little libraries sprung up around the country. Many small and mid-sized towns boast a Carnegie library. The Big Apple has dozens, all of them folded into the city’s three great lending library systems, most them designed and built by the same firms to establish continuity. They make up the backbone of the Queens Public Library, the Brooklyn Public Library, and the New York Public Library. These “branch libraries” are local resources, providing meeting space and a convenient, reasonably sized buffet of books for neighborhood readers. Generally, they are smallish, one or two or three stories, with open stacks, and bright, arched windows. They weren’t meant to be all-encompassing, but they were meant to be vital, to be wellsprings of what now seems hopelessly quaint: an informed middlebrow public. The massive marble clad building at the corner of 42nd Street and 5th Avenue was, from the very first, meant to be different. Instead of a single plot, it occupied a city block. Thick white marble walls, inside and out. Beaux-arts details. Epic ceilings and sweeping stairs. New modern technologies – the famous stacks, holding up the massive reading room, and a vacuum tube communications system – gave the classical aesthetics a modern touch. The whole structure was an expression of the highs and lows of the city, the need for a lending library and the need for a more rarified research collection, a giant moving social machine. The scale of the enterprise was vast, akin to a national library, a part of Manhattan’s ambition to be a “world city.” And completely unlike those smaller, miniature expressions of Carnegie’s philanthropic goodwill. The big, bold, fortress-like library guarded by stone two lions was, in truth, the centralized consolidation of a few different nineteenth century and early twentieth century libraries, some of them “free,” some of them “circulating,” and some of them private and closed. The 42nd Street building contained these multitudes, if somewhat imperfectly. In addition to literary collections and specialized reading rooms, it included a massive reading room and included a smaller lending library within it. Its champions were men and women of extraordinary wealth. That lending library was removed in the early 1970s, and transferred to a storefront just a short walk down 5th Avenue. The removal was a part of an effort to put the public function of the library – its circulation of text – in a more accessible space, to accommodate the human traffic that swept in and out every day. 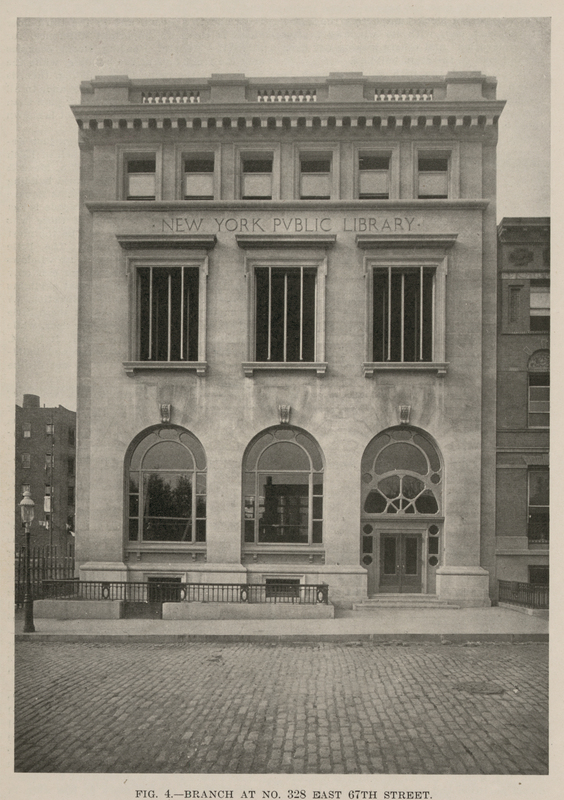 With a glass wall facing the avenue, the Mid-Manhattan Library was simply meant to reveal (and to do) the work of a local branch library, to let people in – 10 steps, by one account, from the street to the stacks – and get them to touch books, to sift through their pages, to choose topics and titles. It was an instrument, aimed, once more, at the reading public. To a certain degree, the crisis over the future of the New York Public Library – which now sits before Mayor Bill de Blasio – is the tip of a very big iceberg. Libraries and publishers and readers everywhere are confronted with radical technological change – our ability to transform a thousand miles of books into an inch-wide silicone square. And this confrontation is staged in a world where real, materialized public space is shrinking. It is tempting, then, to merge these two plotlines – to think of all those dusty books, so easily digitized, as the solution to our desperate need for public space. But what is the purpose of such a space in a lending library? And what are the consequences of its removal, once more, to the bowels of that admittedly fantastic marble relic? Must every library become a digital space? Must every library space be stripped of books? 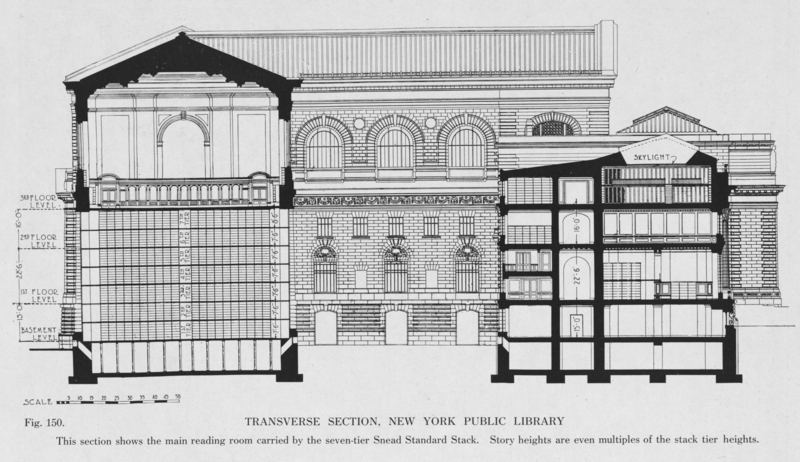 The current plan – the Central Libraries Plan – is a return to the original vision of a social machine, a vision hatched not by democratic champions of a truly free and accessible library but by the aristocrats of Old Money Manhattan, their trustees and estates, their guardians, who sought not merely to share knowledge but to define it. Once again, it buries the lending library deep inside. And it has financial consequences, as well, for those other tiny, imperfect expressions of the middlebrow imagination. That should trouble us.